This magnificent four-arched gatehouse on the waterfront was built as a palace for Polish monarchs. No Polish king ever stayed in the building, but Lech Wałęsa had his office here before moving to the European Solidarity Centre. The gate leads to the Green Bridge, which spans the Motława River and which used to be raised to stop the riff-raff from getting into the Old Town. Following a careful renovation the gate now bears an uncanny resemblance to Amsterdam's central train station, and hosts an art gallery and the Gdansk Photo Gallery. Admission 5/3zł, plus additional 2/1zł for the Gdansk Photo Gallery. Thanks for your comment. We are aware that the Green Gate actually opens out on the Downtown area of Gdansk and that the official Old Town is to be found around the area of St Catherine&apos;&apos;s church and the Hala Targowa. We use the term Old Town as this is how most visitors and locals refer to the area around Dlugi Targ. We try to explain this here in our description of districts. 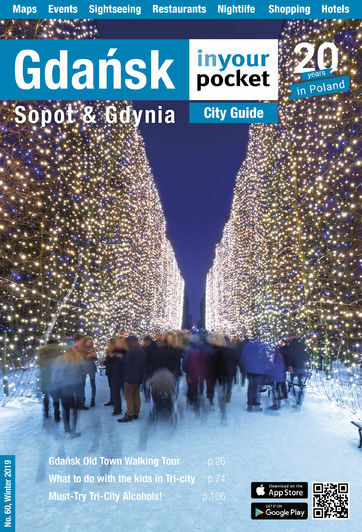 https://www.inyourpocket.com/gdansk/old-town Thank you for the feedback and for giving us the chance to clarify this point here. Zasadniczy błąd. Zielona Brama nie prowadzi do Starego Miasta lecz do Głównego Miasta. Stare Miasto to okolice Ratusza Staromiejskiego, Wielkiego i Małego Młyna.